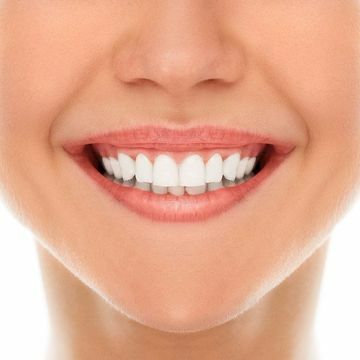 Many patients are very happy to find that teeth whitening from Dr. Slaman is one of the simplest, most cost-effective ways to dramatically enhance their smiles. Our Zoom!® in-office whitening system and our take-home whitening kits use professional-strength peroxide gel to break apart surface stains on your teeth. We can get your teeth up to eight shades whiter with Zoom!® in just one office visit. 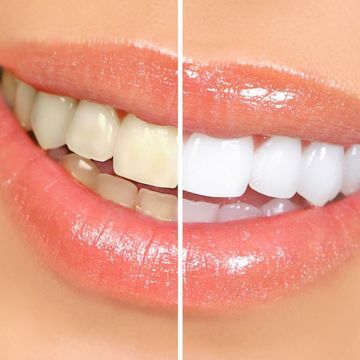 If you choose to whiten at home, you can attain similar results in about two weeks. Porcelain veneers are extremely thin shells that attach to the fronts of your teeth to conceal several kinds of cosmetic flaws. They can easily give you a whole new smile that looks stunning. First, Dr. Slaman reshapes your teeth by removing a very small amount of enamel and takes digital x-rays to send to our partner lab. A skilled dental ceramist then handcrafts your veneers, which are ready in about two weeks. For optimal aesthetic results, our veneers are made from IPS e.max ®. This material offers an unbelievably lifelike color and sparkle. Bonding is a conservative treatment that can correct many of the same concerns as porcelain veneers. Like veneers, bonding can improve the size, shape, and color of individual teeth. Unlike veneers, however, Dr. Slaman does not need to reshape your teeth for treatment. He simply applies composite resin directly to your teeth to conceal blemishes and minor structural flaws. In many cases, Dr. Slaman can also use bonding to build up worn teeth, helping you to delay or avoid the need for full mouth reconstruction. Your gum line plays an important part in the aesthetics of your smile. If your gums are even and the right amount of tooth is showing, your smile will have pleasing proportions. When Dr. Slaman analyzes your smile for cosmetic treatment, he factors in the level of your gums and whether you would benefit from gum contouring. If so, he can use a laser to gently eliminate a small amount of gum tissue in a controlled manner. Laser gum contouring involves minimal discomfort, and many patients do not even require local anesthesia. A smile makeover combines cosmetic treatments designed to give your smile a wow factor. As a skilled cosmetic dentist, Dr. Slaman will carefully plan your makeover using cosmetic imaging that will allow you to preview your smile. Dr. Slaman also uses a pre-treatment wax-up model that allows him to place composite temporaries on your teeth so you can take an immediate “after” photo home with you to show your family and friends. This procedure can truly give you the smile you have always wanted.